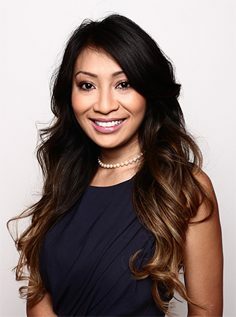 Arrange a free consultation with Dr. Sheila to discuss your skin concerns and how we can help to transform your skin. All new clients will require a consultation to ensure you get the most from your treatment. This treatment will target the lines and wrinkles that can often make us look angry, sad, tired or older than we feel. This treatment is great for treating a smile that shows too much gum. Treatment of this area, will ensure a more natural ratio of tooth to gum display, re-balancing your smile, to give you a beautiful, confident smile. This treatment can soften a square, more masculine jawline to give a slimmer, heart-shaped jaw and feminine appearance. This includes a free top-up appointment 2 weeks after the initial treatment. Dermal filler can be used to provide a subtle and natural enhancement of the lips, restoring volume loss or plumping the lips. Lip asymmetries can also be corrected. At Renuyu Clinics, we will pride ourselves on creating natural and undetectable results. Ageing usually contributes to volume loss, resulting in the diminishing round, full look as everything shifts downwards. Dermal fillers can be used to replace volume loss and rebalance the contours of the mid-face, resulting in a more youthful and contoured appearance. Sun damage, smoking and other lifestyle factors damages the skin, often resulting in dehydrated, crepey, dull looking skin. This treatment aims to restore skin to a healthier, more radiant appearance. If you are seeking smoother, firmer, younger-looking skin, then a hydrating skin treatment is what you need. This treatment will improve the skin elasticity, reduce the appearance of fine lines and hydrate the skin to give a more youthful glow. The face, neck, décolletage and hands can be treated. At Renuyu Clinics, we use the Revitacare product range which combines hyaluronic acid in a cocktail of rejuvenating complex and vitamins, allowing every age and skin type to be treated depending on your skin needs. What can Revitacare do for me? A course of 3 treatments spaced 3 weeks apart followed by a maintenance treatment once every 3 months is recommended for optimum results. This treatment can be used with Dermaroller or a chemical peel for superior results. Chemical peels will remove the outer layer of damaged, pigmented or scarred skin, revealing fresh new radiant skin underneath, overall, improving the texture, tone and smoothness of the skin. A medium peel will be more effective at smoothing out lines, wrinkles and soften the appearance of scars. What can the Vi Peel do for me? A course of 3 treatments spaced 1 month apart, followed by twice yearly maintenance is recommended, and will give optimum glowing results! Peel to reveal beautiful new skin; radiant enough for you to dare to bear all! Grow beautiful long lashes with this treatment, which will thicken and increase the length of your lashes by up to twice its normal length. This lash conditioning treatment is ideal if you have sparse, short lashes, damaged lashes, or if you just desire long, beautiful, thick lashes. The product is a prescription only, prostaglandin, which works by increasing the length of time that your natural lashes are in their growth phase. It requires continuous use if you want to maintain increased thickness and length. Results can be seen in as little as 4-6 weeks.